This book provides an exhaustive and comprehensive study of the lore and science of precious and semi-precious stones and crystals. Crystals have commanded the attention of thinkers, artists, mystics, magicians, astrologers, alchemists, and all who appreciate beauty. Intimately and mysteriously formed in the fires of Earth�s inner essence, what is the meaning of these exquisitely shaped and colored gifts of the sacred bounty of Nature. 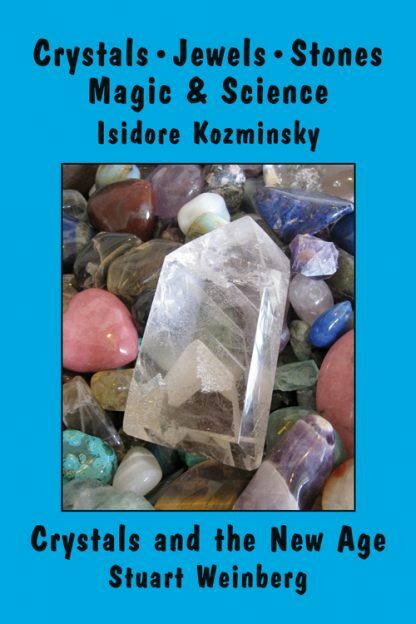 Occultist Isidore Kozminsky explores the use of precious and semiprecious stones in fields as far flung as healing and design, practical esoteric energy channeling and decoration, as well as in powerful magical talismans by which specific energies may be invoked, and as artistic objects of great beauty. From Plato to Leonardo da Vinci, Kozminsky traces crystal lore through the researches of astrologers, magi, alchemists and Hermetic philosophers all of whom explored the use of stones in the Universal Order and Harmony of the natural world. Stuart Weinberg is the proprietor of Seven Stars Bookstore in Cambridge, MA, which carries one of the finest collections of hand-picked precious stones and crystals. He shares his insights gained through his many years of buying, selling, and studying these magical objects.